Communications is almost always a challenge for new pilots. Trying to listen and talk, all while learning to fly, is no small feat. If English is not your native language, it adds additional complications. Many students have found it valuable to record lessons for later review. The easiest solution uses a few cables and a small digital voice recorder. that I picked up for $50 (that exact model no longer available, so here’s a similar one). It’s small, light, runs for many lessons on 2 AAA batteries, and is simple to use for recording, playback, or downloading of the audio files to your computer. 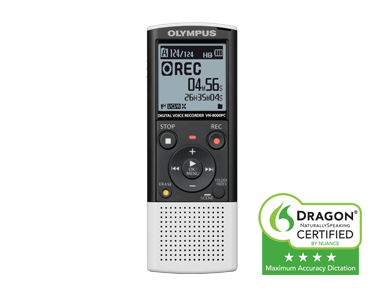 In order to record what you, your instructor, and other pilots and controllers are saying, you need to connect the output of the airplane’s audio system to the mic input of the recorder. That’s not always as straight forward as you might think. The headset output of the intercom is designed to drive the speakers in your headset. If you simply make the direct connection, you’ll find that the recordings are horribly distorted. The key part you need is an attenuating cable ($6 at Radio Shack). This will make the output levels more compatible, but still requires something like this adapter ($3 at Radio Shack) to connect the 1/8 inch mic plug to the 1/4 headset plug. If you have an extra headset jack (like in the back seat of the 172) that is easily accessible, then that’s all the hardware you need – $60. If you don’t have an extra headset jack, then you’ll also want to pick up a short Y cable like this (about $4). Recently (2016) I went with an all-in-one attenuating/y-cable solution that costs about $40 – this is a more convenient solution, but I find that it lets in a bit more noise than my previous solution. Once you have all the equipment you’ll need to do a little experimentation to get the recording sensitivity set properly. I also suggest that you set the recorder to use voice activation. This means it only records when there is something to record, Otherwise, a typical flight may have many long blank pauses. I find a typical lesson generates about an hour of recording and a file in the 10-15MB range. The audio quality is surprisingly good for that level of data compression. I connect the recorder to my computer via a short USB cable and download the recordings to my computer in a few seconds and email them to students. It is possible to record to your smart phone, like an iPhone or Android headset. The cabling may be a little different as the microphone jack on many phones is different than the one used by the recorder I mentioned. You’ll need a recording app and I recommend one that is intended for voice recording. For me, the downside is that the phones are much heavier, so you have to be more careful where you stow them in flight and they tend to run through batteries quickly. It’s also possible to do both audio and video recording of a lesson, though that increases the file size considerably and will be the topic of a later post. The cables I have mentioned assume mono (not stereo) outputs and inputs. This seems to work ok in the planes I use, but depending on the recorder and audio system you use, you may need to deal with issues related to stereo audio.